October 2016: GlobeCore technical support team commissions a CMM-0.6 plant in Italy. 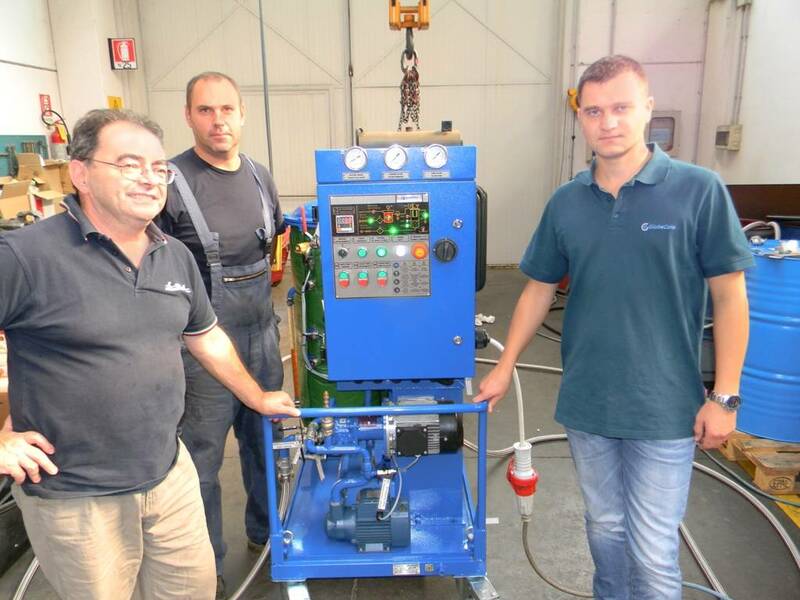 The equipment will be operated in Carpenedolo, Brescia. The CMM-0.6 is a mobile oil station that cleans electrical insulating oils, removing mechanical impurities, water and gas. It guarantees the desired oils parameters for oils with viscosity less than 70 cSt (at 50°C). The equipment is in demand among facilities dealing with installation, repair and operation of oil-filled high-voltage equipment (high-voltage switches, power transformers, etc.). Depending on the type of purification needed, the station operates in oil heating mode, or in thermal vacuum mode, filtering and cleaning the oil. Specifications of the unit can be found here. Use the “Contact” tab to receive buying advice on the CMM-0.6.